We all scream for ice cream…. in the bath! AG was lucky enough to be sent some great new bath and body products that are perfect for the summer! B. Avanté‘s new ME! Bath range has created “bath bombs,” lotions, body scrubs, lotions- you name it, based on your favorite ice cream. What an adorable concept! I was sent the Strawberry Bath Bomb and the Grapefruit Bath Bomb, and oh what fun! The scoops slowly fizz and turn into delicious bath soaks once you drop them in the water. I left the bath feeling soft and sweet smelling. I also had the privilege of trying the “Gotta Have It Pomegranate” Body Icing (aka lotion) which was delicious! 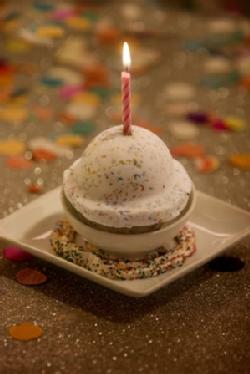 And- how cute is the Birthday Cake Bath Bomb! 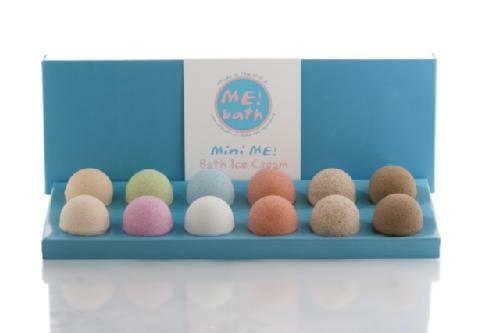 Downside- the larger bath bombs are for one bath only, so go for the minis, which will get you more baths for your buck! That said, the larger ones are the perfect summer gift! I am thinking about ordering some for a bridal shower I am throwing next month! Thanks B. Avanté!